Main » 2012 » September » 16 » the Oromo struggle for liberation. the Oromo struggle for liberation. The following is a summary of the author Gadaa Melbaa,"During the process of colonisation, between 1870 and 1900, the Oromo population was reduced from ten to five millions. This period coincides with the occupation of Oromo land by the Abyssinian emperors Yohannes and Menilek. After colonisation, these emperors and their successors continued to treat Oromo with utmost cruelty. Many were killed by the colonial army and settlers, others died of famine and epidemics of various diseases or were sold off as slaves. Those who remained on the land were reduced to the status of gabbar (a peasant from whom labour and produce is exacted and is a crude form of serfdom). Haile Selassie consolidated Yohannes and Meniiek's gains and with the use of violence, obstructed the process of natural and historical development of the Oromo society - political, economic and social. In all spheres of life, discrimination, subjugation, repression and exploitation of all forms were applied. Everything possible was done to destroy Oromo identity - culture, language, custom, tradition, name and origin. In short Haile Selassie maintained the general policy of genocide against the Oromo. The 1974 revolution was brought about by the relentless struggle over several years by, among others, the Oromo peasants. The military junta, headed by Mengistu Haile-Mariam, usurped power and took over the revolution. This regime has continued on the path of emperors Yohannes, Menilek and Haile Selassie in the oppression, subjugation and exploitation of Oromo, the settlement of Abyssinians on Oromo land and the policy of genocide. 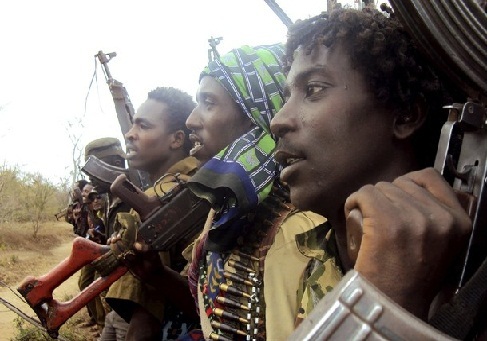 Forced to fight against Eritreans, the Somalis and others, many Oromo have fallen in battle. Many others have died on the streets of cities and towns during the so-called "Red Terror" period and in a similar programme that has been expanded in the countryside since then. Massacres in towns and villages coupled with bombing and search and destroy programmes have caused the destruction of human lives, crops, animals and property, have driven Oromo from their land and forced them to seek refuge in neighbouring countries. Not surprisingly, this ruthless oppression and persecution of peoples has resulted in the largest flight of refugees in Africa. A very large proportion of the refugees in the Horn of Africa are Oromo. In its attempt to oppress and eliminate the essential elements of Oromo culture, the present regime has used cover-up words such as 'development, relief, settlement, villagization and literacy campaign' to mislead the world. In fact most of these programmes and projects have been aimed at displacing Oromo people and denying them freedom, justice, human dignity and peace, thereby hastening the process of Amharization or de-Oromization. The struggle of the Oromo people, then, is nothing more than an attempt to affirm their own place in history. It seeks equality, human dignity, democracy, freedom and peace. It is not directed against the masses of a particular nation or nationality, nor against individuals, but rather against Ethiopian colonialism led by the Amhara ruling class and the naftanyas (Amhara colonial settlers) and against feudalism and imperialism. Thus it is the Ethiopian colonial system and not the Amhara masses or individuals which is under critical consideration. Today when nearly all of the African peoples have won independence, the Oromo continue to suffer under the most backward and savage Ethiopian settler colonialism. All genuinely democratic and progressive individuals and groups, including members of the oppressor nation, Amhara, who believe in peace, human dignity and liberty should support the Oromo struggle for liberation. Although the Oromo nation is one of the largest in Africa, it is forgotten by or still unknown to the majority of the world today. Unfortunately even the name Oromo is unknown to many, and this should not be allowed to continue."